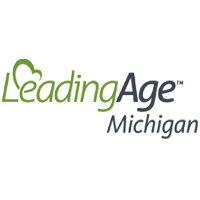 Team members from MedTek21, a leading provider of personalized medication management software, will be presenting at the 50th annual LeadingAge Michigan Conference and Solutions Expo. The conference will be held from May 20th-23rd, 2018. The session entitled “Personalized Medicine for Everyone: Utilizing Pharmacogenomics Programs at Scale” will be co-presented by Joe Spinelli, Chief Commercial Officer of MedTek21. Please visit http://leadingagemi.org for more on the conference, and email info@medtek21.com for more information.